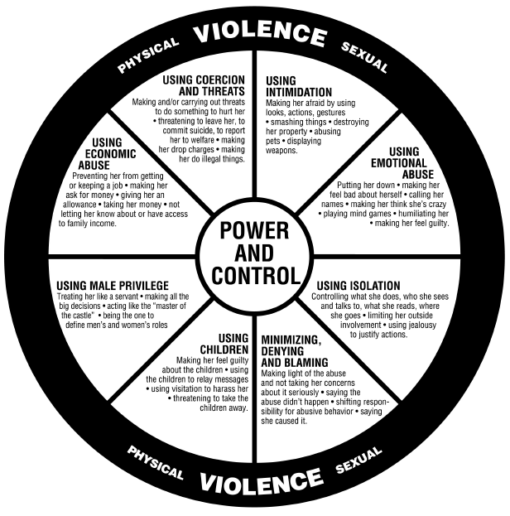 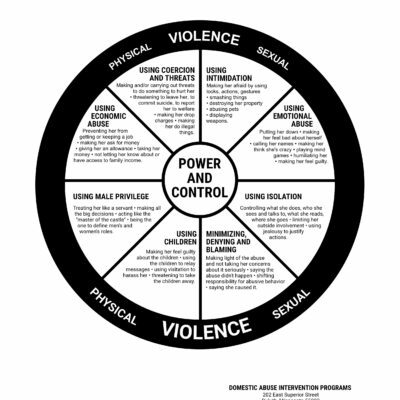 Developed by battered women in Duluth who had been abused by their male partners, the Power and Control Wheel has resonated with the experience of battered women world-wide. 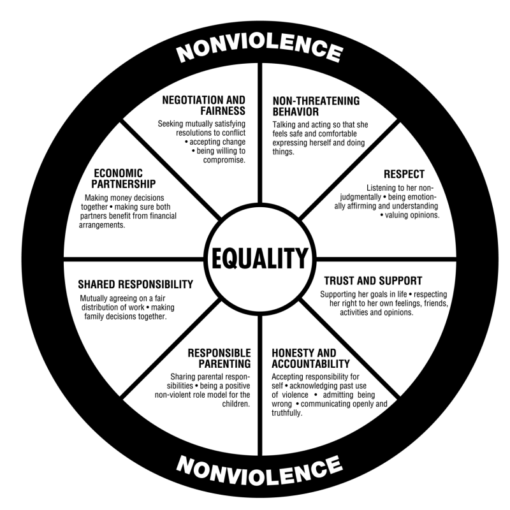 Developed to define a non-abusive relationship, the Equality Wheel works in coordination with the Power and Control Wheel. 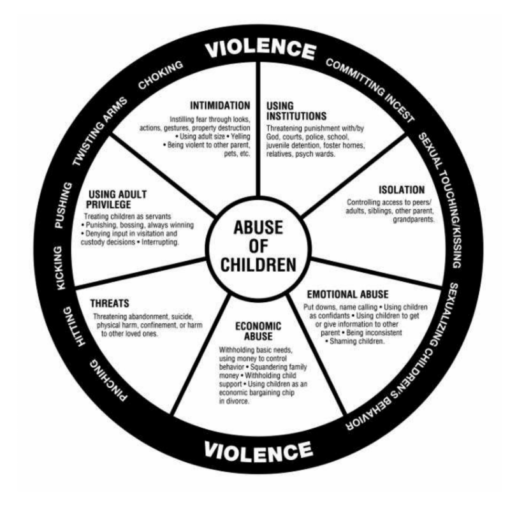 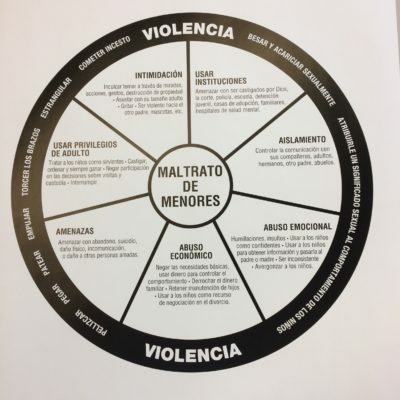 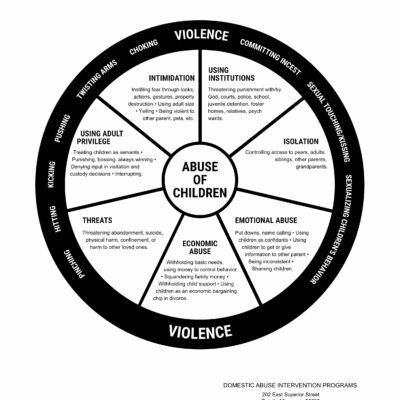 Developed to define an abusive relationship between children and caregivers, this wheel works in coordination with the Nurturing Children Wheel and the Power and Control Wheel. 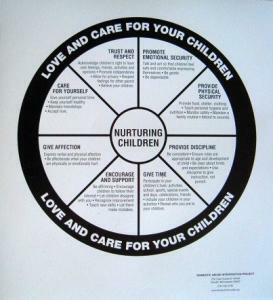 Developed to define a nurturing relationship between children and caregivers, this wheel works in coordination with the Abuse of Children Wheel and the Equality Wheel. 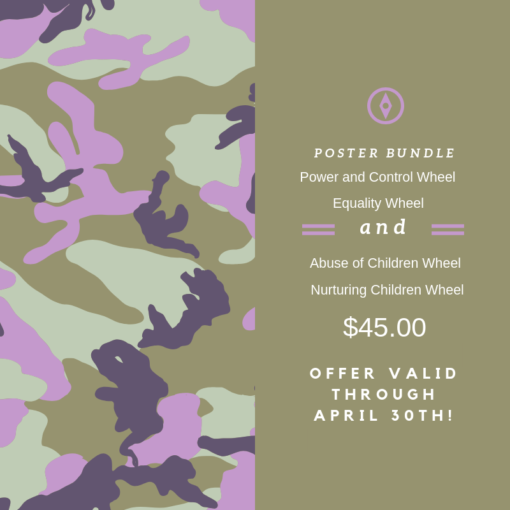 Each poster is is 22″h x 20″w.